I mean, we like our shiny stuff too, but when we see something fishy is happening, we’re gonna call you out on it. What do you think about the whole idea of Masterpiece Series? Like it, hate it or want Cookie Monster to recite it? Let us know in the comments below. And we don’t mean just putting some wheels on it’s hoofs. 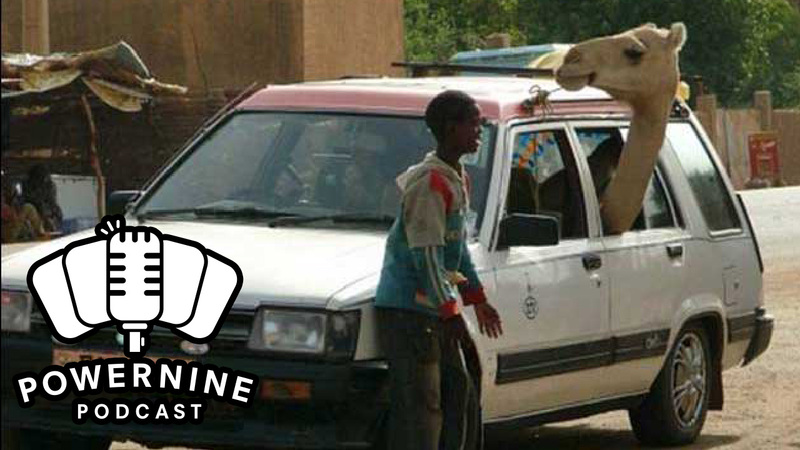 We want a camel to drive a car, and possibly pilot a spaceship. This week, we take a look at the spoilers and analyse the new mechanics, some of which we like while others, well, you’ll just have to listen in. These reprints really caught us by surprise. Find out what we think about some of the spoilers. And let us know what you think of the spoilers for Conspiracy 2. Episode 71 – How Much is that Lion’s Eye Diamond in the Window? Buyout is such a strong word, isn’t it? 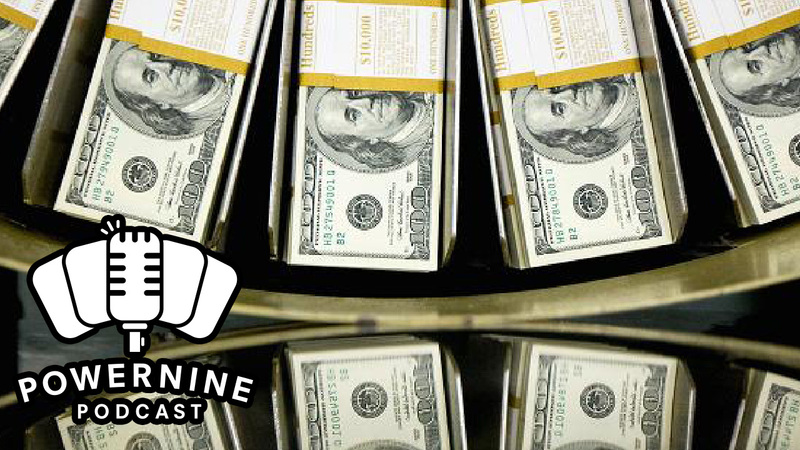 This week, we discuss what’s been happening in the MTG Finance world with Craig Barry and Martin Shkrelli buying magic cards. Oh, no big deal, right? 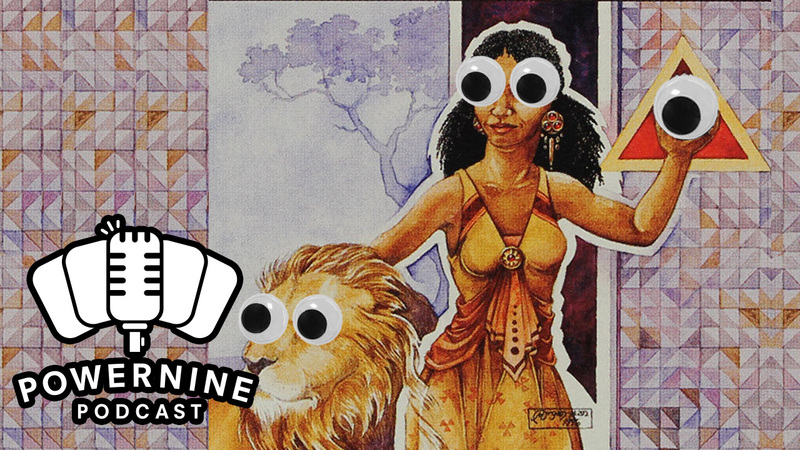 Author powerninepodcastPosted on July 14, 2016 Format AudioCategories innistrad, magic the gathering, mtg, mtg finance, podcast, spoilersLeave a comment on Episode 71 – How Much is that Lion’s Eye Diamond in the Window? Well, mostly the box, actually. There’s so much empty space in there, and only 24 packs to crack. 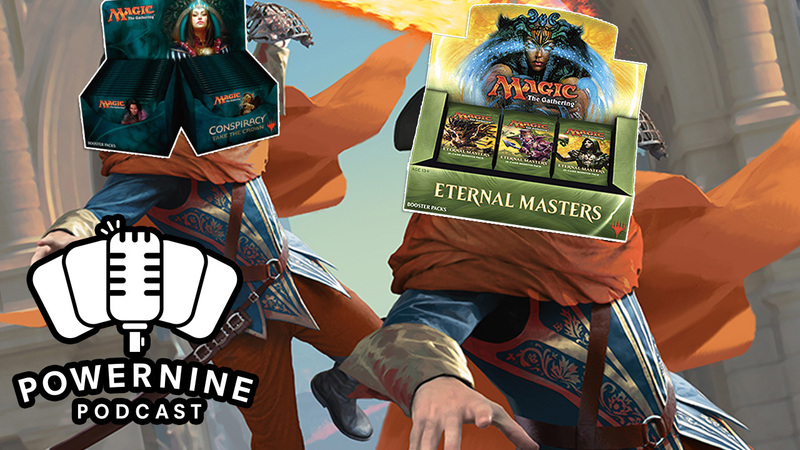 This week, we run down all spoilers for EMA and give you our impressions of the set as well as analysing the value of the set and whether or not you should buy it. The bell tolls 13 times just for you, and you should be afraid. So. Very. Afraid! Madness has taken over and now, they are coming for you. Looking at the story between Nahiri and Sorin, I can’t help but think about every Taylor Swift song. Maybe Nahiri can craft a violin out of the remains of Markov Manor. As always, if you like the show, follow us on Facebook and Twitter and if you’ve got something you want us to talk about, or if you’ve got some suggestions for the show, please let us know in the comments below. Remember to subscribe, rate and review the show on iTunes, we really would appreciate that. Alternatively, you can listen to us on YouTube.